Who: Anyone interested in solar power. 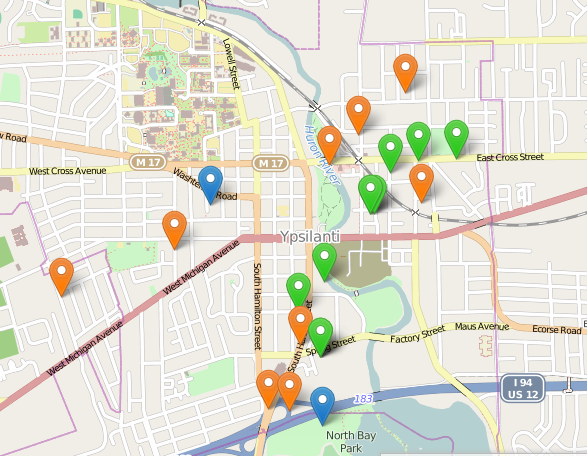 What: Ypsilanti will be taking part in the National Solar Tour again this year. 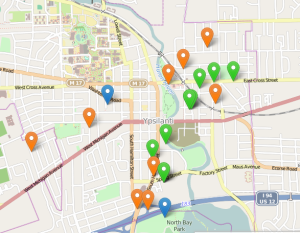 There are 39 solar installations on the SolarYpsi map with 21 of those inside Ypsilanti’s city limits. Many of these locations are within walking distance of each other and have solar panels that are visible from the street. Dave Strenski will be at Ypsilanti’s City Hall’s parking lot at 1 South Huron talking about solar power. Stop by and say hello and get your solar questions answered. We’ll have site markers set up at many of the locations to make them easier to find. Where: Ypsilanti’s City Hall at 1 South Huron and all around town. See SolarYpsi.org for map. Not able to make the tour? Then take our virtual tour created by Cameron Getto. Glover House (118 S.Washington), City Hall (1 S. Huron), Ypsi Food Co-Op (312 N. River), Corner Brewery (720 Norris), Strenski(323 Oak), GW Kent(506 S. Huron), Bashert(909 Grant), McAulay(280 Bellers Court), Krzyzanski(403 S. Huron) and Munger Road. You can also learn about solar power in Ypsilanti by watching this TEDx talk. Dave Strenski was interviewed by Dana Denha from CitiTV Channel 19 about all the solar projects going on in Ypsilanti. SolarYpsi is feature in the latest HomePower magazine.